Guilt free, vegan, paleo, sugar free, gluten free and dairy free this guy ticks all the boxes! Chia seeds one incredibly nutrient dense "super food" high in fibre, protein, omega 3's and antioxidants they are certainly bang for buck as far as calorie spend is concerned. Mix all ingredients in a bowl and leave for 15-20mins in the fridge while the seeds expand. Chop up a super ripe and delicious nectarine for garnish. 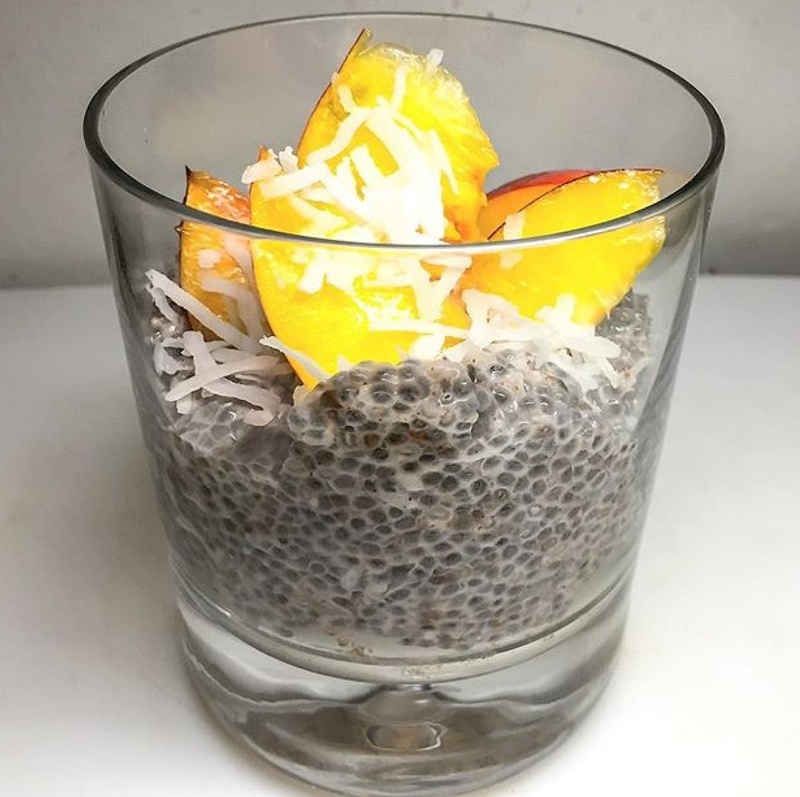 Transfer pudding into a glass, top with the nectarine slices and some shredded coconut and you've got it!